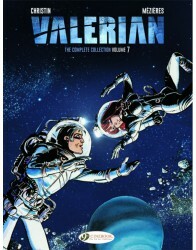 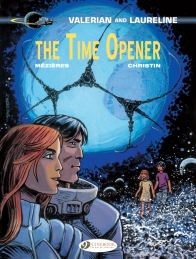 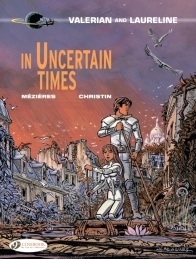 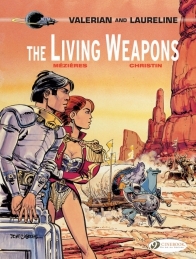 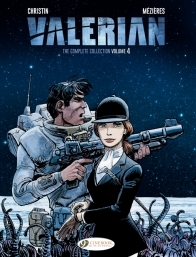 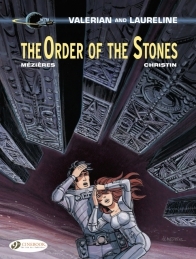 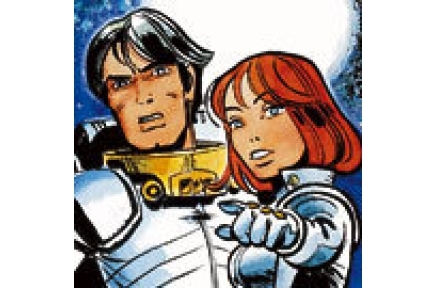 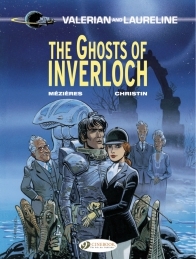 Valerian and Laureline, space/time agents of the Earth’s future, patrol our history to maintain the timeline. 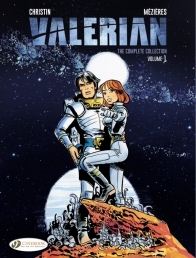 A legendary and highly influential SF series. 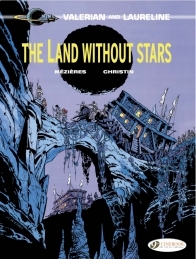 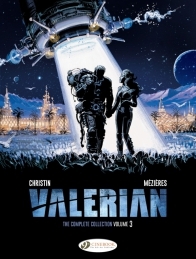 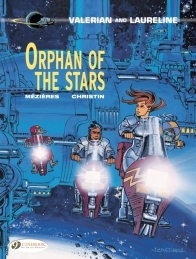 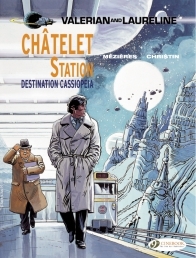 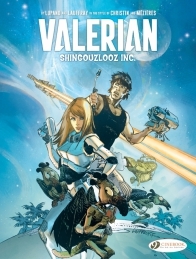 Jean-Claude Mézières and Pierre Christin created “Valerian” in 1967 after working in the USA together, one as a cowboy, the other a teacher. 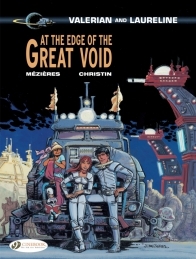 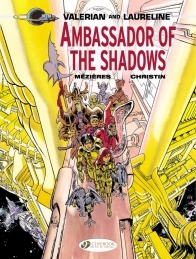 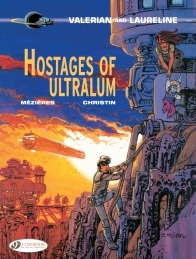 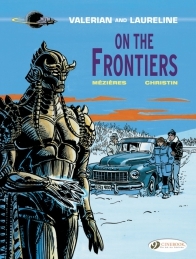 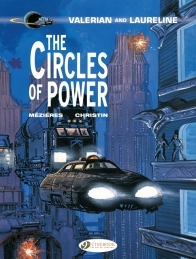 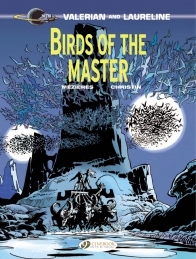 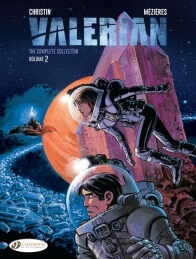 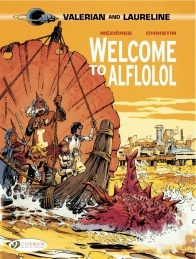 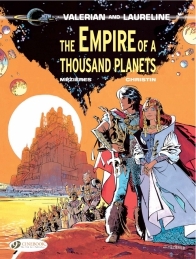 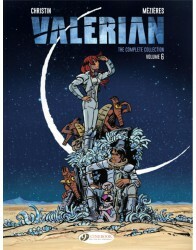 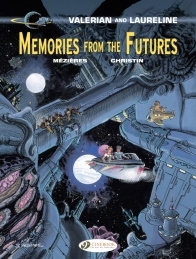 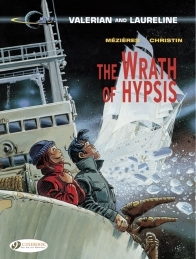 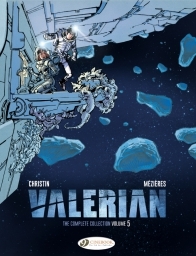 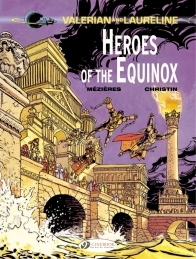 While ”Valerian” is Mézières’ only comic series, he’s worked as an illustrator in many other areas, including designs and sets for “The Fifth Element,” and he was awarded the Grand Prix du festival d’Angoulême in 1984. 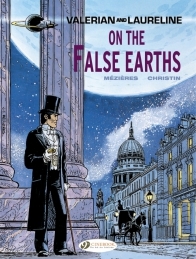 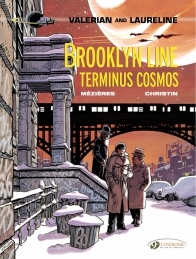 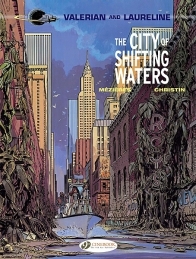 Christin also works in collaboration with other artists such as Tardi and Bilal and writes novels and film scenarios.